With “The Famous and the Dead,” T. Jefferson Parker brings his six-novel saga about Charlie Hood, an LA lawman hellbent on disrupting gunrunning along the Mexican border, to a conclusion. The new crime novel, like the series as a whole, is ambitious, daring, at once brilliant and maddeningly uneven — and well worth reading. You can read my Associated Press review here. 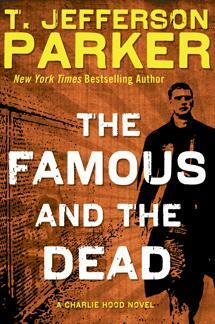 You can read more about Parker and his work here. This entry was posted in Uncategorized and tagged Associated Press, book review, Bruce DeSilva, Charlie Hood, crime novel, fast and furious, gunrunning, LA, Mexican border, T. Jeffersonp Parker. Bookmark the permalink.